No new episodes until April 5 because of March Madness. At least we had some promo goodies to enjoy while waiting. The main cast wrapped Season 3 on March 21. To recap: In some sort of last-minute-rescheduling, CBS had opted to pre-empt Episode 3×17 for an interview with R. Kelly instead; making the fans wait for another week. 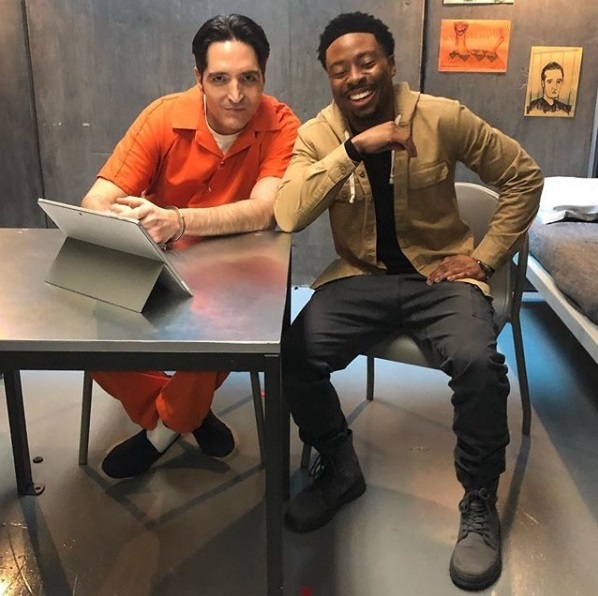 Sadly, there weren’t any Sneak Peeks for this episode to make up for all the disappointment, but cast, crew and guest stars promoted the episode to their followers on social media. Let’s take a look at the ratings. To recap: Episode 3×16 back in February had reached 6.574 million live-viewers and a demo of 0.8. The Rerun for Episode 3×06 on March 1st got 4.387 million live-viewers with a demo of 0.4. In some regions, the Friday-Lineup on March 15 was pre-empted for basketball. 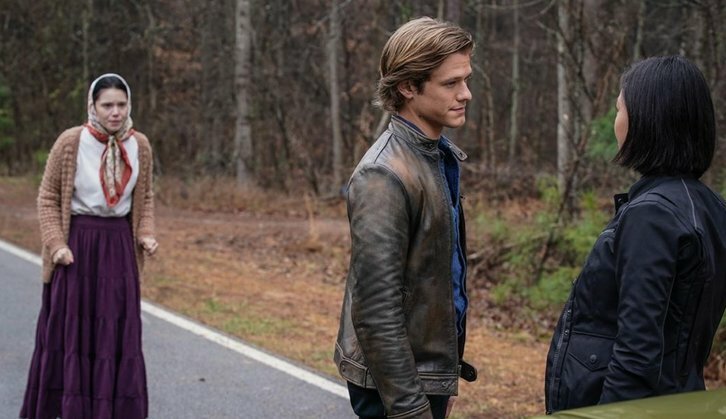 All the CBS shows suffered quite a bit and the MacGyver Reboot got the lowest ratings of this season so far: Episode 3×17 had 5.623 million live-viewers with a demo of 0.6. In the +7 Days Ratings, it added another 1.655 million viewers (+29%), reaching a total of 7.295 million viewers with a demo of 0.98 (+54%). On March 18, Technical Consultant Rhett Allain uploaded a blog post with science notes about the MacHacks in this episode. 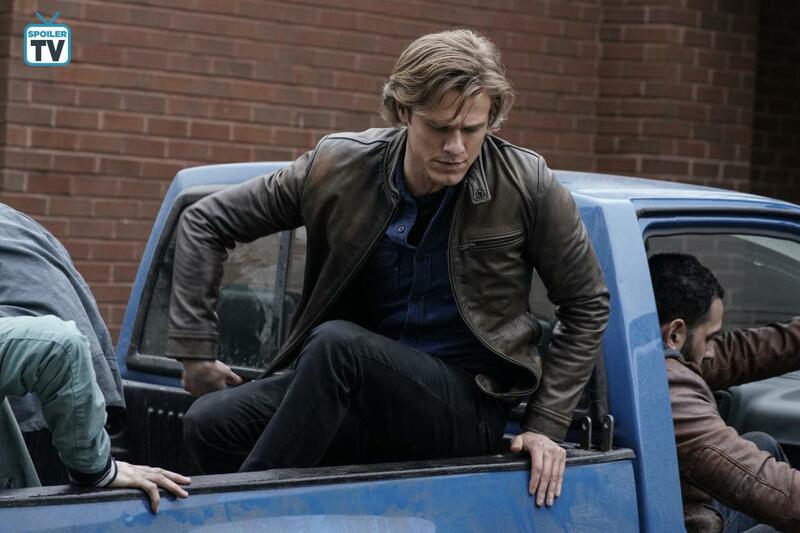 At the moment, the MacGyver Reboot has an average of 6.252 millions live-viewers per episode with a demo-rating of 0.72. Compared to the 23 scripted shows on CBS, the Reboot is still at rank 21 in demo and at rank 13 in audience. That’s not all that great, but it could be worse. Comparing to last season, Season 3 lost about 13% in demo and about 0.61 million viewers or roughly 9% in live audience numbers. Let’s take a look at some other CBS crime-action shows; especially at the two other shows on the bubble that haven’t been renewed yet. 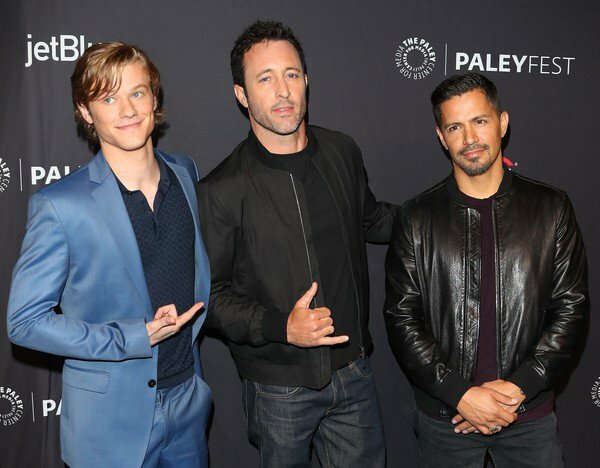 Magnum PI is at 6.016 million live-viewers per episode with a 0.90 demo-rating at the moment. There is only one episode left to air; since the show is concluding the first season with Episode 1×20 on April 1st. They are already confirmed for a 2nd season and don’t have to worry about the finale rating so much. SEAL Team is at 5.393 million live-viewers and a demo of 0.82 on average. Compared to last year, they lost about 19% in both demo ratings and audience numbers. These losses might grow since SEAL Team airs in a new timeslot after a 4-weeks-hiatus; ending the season on May 22. SWAT is at 5.373 million live-viewers with a demo of 0.79, ending the season on May 16. It lost about 16% in demo ratings and 9% in audience numbers compared to last year. 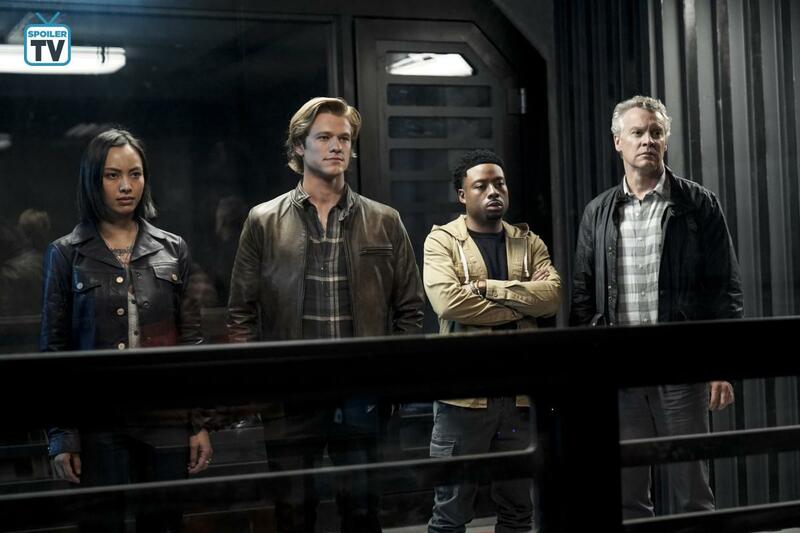 There hasn’t been any official news yet about MacGyver, SEAL Team or SWAT being renewed, although most prediction sites are still confident about MacGyver getting another season. The three shows are probably in the same budget range (with SEAL Team being the most expensive) and both SEAL and SWAT have some well-beloved and long-term TV stars as main leads, but it’s possible that CBS might axe one of them. Since MacGyver only needs aone more season for syndication, it’s probably safe for now. The same goes for Bull, but the show lost roughly 35% in both demo and audience and got some very bad press this year, so MacGyver seems the safer option to renew. Episode 3×18 is titled “Murdoc + Helman + Hit”, written by MacGyver creator Lee David Zlotoff and directed by Roderick Davis. There are guest appearances by Michael Des Barres and David Dastmalchian. When Nicholas Helman (Michael Des Barres) resurfaces to carry out a killing spree, the Phoenix is forced to get help from the one person who knows him best… his protégé, Murdoc. Channel CBS46 had been on set for that episode; doing on-set interviews with the cast. Hopefully, they will release more material for the occasion. The break for March Madness basketball is almost over. Due to the “I love Lucy” special airing on April 19, the Season 3 Finale of MacGyver will air on May 10. Written by Justin Lisson, directed by Andi Armaganian. Guest appearances by Odelya Halevi and Nick Massouh. 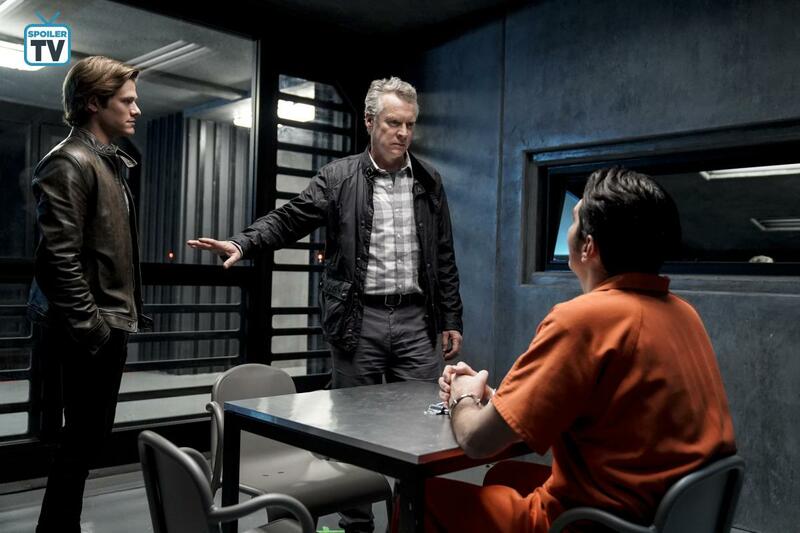 CBS revealed the synopsis and a first Official Still on March 22. They released 7 more Stills on March 28. Directed by Eagle Egilsson. Guest appearances by Andrew Brodeur and Emily Marie Palmer. Written by Jim Adler, directed by Maja Vrvilo. Guest appearance by Emerson Brooks. Written by Nancy Kiu and Lindsey Allen, directed by Stephen Herek. Guest appearances by Lance Gross and Brendan Hines. On March 14, cast and crew continued filming action scenes in an underground parking garage. Both Sheryl Lee Ralph aka Mama Colton and Lance Gross as Billy Colton filmed scenes on a different location. On March 18. they started with the last week of filming. Some crew members wrapped earlier than others, and some posted photos with thank you‘s during the last few days. 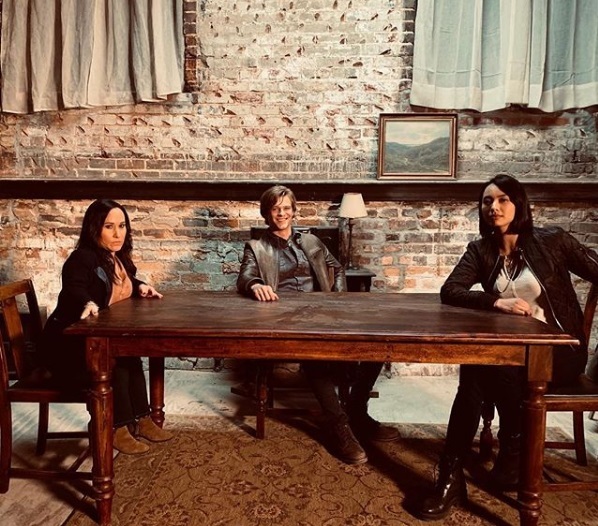 Costume Designer Sarah Downer posted nice photos of her with Lucas Till and with Meredith Eaton. 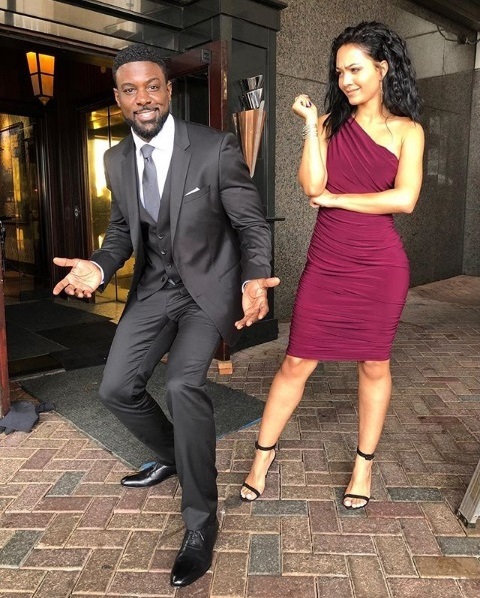 They shot scenes in the War Room and at MacGyver’s house, but also more action scenes involving guns, fight clubs and car chases and both Justin Hires and Levy Tran getting banged up a bit in the process. They kept filming until late at night on March 20; cast and crew posting quite a bit on social media. Justin Hires was on a plane towards Washington for his Stand-Up Comedy Gig after only 4 hours of sleep. He uploaded some new photos and videos; e.g. 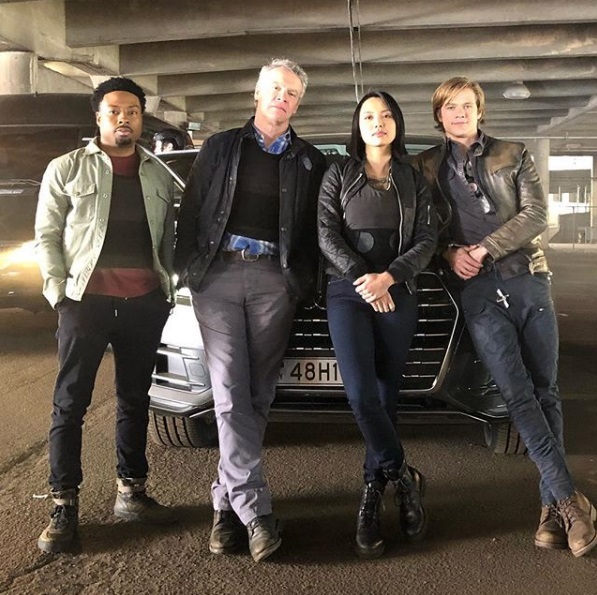 a nice group photo of him with Tate Donovan, Levy Tran and Lucas Till. The last day of filming for the main cast occurred on March 21. Levy Tran wrote a heartfelt thank you note on a video post to all the people involved in making a TV show and to the fans. She flew back on the same plane as Meredith Eaton and Lance Gross; Levy and Meredith posting Insta Stories of each other filmed from opposite sides on the plane. Some of the second team and the crew continued filming on March 22 while other crew members posted photos of their wrapping gifts and scenes shot before (e.g. the Fight Club Scene). Costume Designer Sarah Downer confirmed last Sunday that the Wrap Party for the Atlanta Crew would be on March 24. Apparently, none of the cast made the effort to fly back to Atlanta for it. Jeff Downer stood in for the producers. The crew posted some photos; e.g. 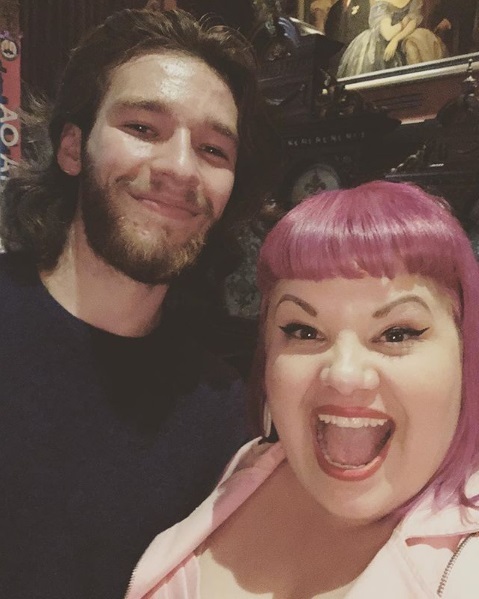 Sarah Downer with Lucas’ brother Nick Till who had worked in props and also as personal assistant this season. 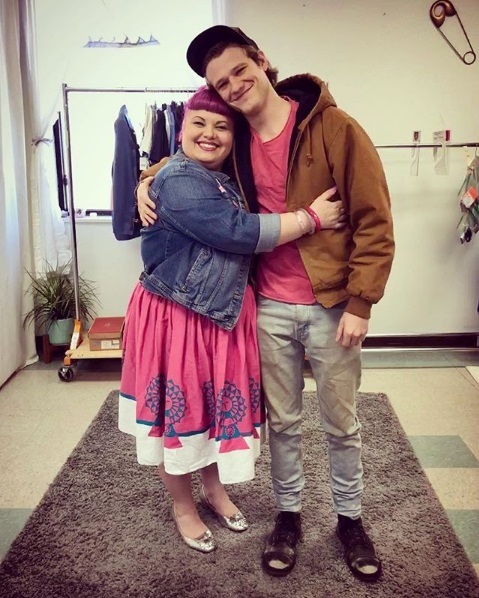 She also uploaded a photo of her with Triston Dye who stands in for Lucas at fittings. Because the party was on a Sunday and some had to be on set again the next day or to clean up the offices and trailers, most photos and videos got posted on Monday instead. Also, there wasn’t as much material as for the other two season wrap parties in Atlanta. Some crew members took the opportunity to post some more thank you notes with BtS set photos taken during the last few weeks of filming (e.g. the Elevator Scene). Initially, the LA Wrap Party was supposed to be on March 22 (according to Peter Lenkov). It looks like it’s been rescheduled, but so far we have no further information. It seems like they continued filming some inserts and additional footage until yesterday. According to Insta Stories, the offices for Season 3 in Atlanta closed definitely on March 28. As mentioned before, Emerson Brooks (as Charlie Robinson), Lance Gross (as Billy Colton), Sheryl Lee Ralph (as Mama Colton) and Brendan Hines (as Matty’s ex-husband Ethan) have been on set recently. As Lucas Till revealed in an interview, Peter Weller will have a guest spot in an upcoming episode – and his character role would be possible to get expanded. So far, there’s no more information on this; e.g. if it’s another rebooted character taken from the Original Show. Central Casting Georgia has been looking for Extras for the final episode of the season; specifically for Guards and Agents, Russian Guards, a CIA Agent, 40 Background Actors as Handsome Club Goers, a Bouncer, for Paris Cooks, Pedestrians, for Upscale European Cars and for a Male with an European Car. French channel M6 premiered the first two episodes of Season 3 on March 16. Interestingly, they had changed the timeslot from Fridays (Seasons 1 and 2) to Saturdays; airing an episode of S2 afterwards. Sadly, the viewers didn’t really appreciate the new timeslot. Episodes 3×01 and 3×02 garnered 1.81 and 1.56 million live-viewers. Episodes 3×03 and 3×04 on March 23 had 1.70 and 1.47 million viewers, which is the lowest number of the show in France so far. 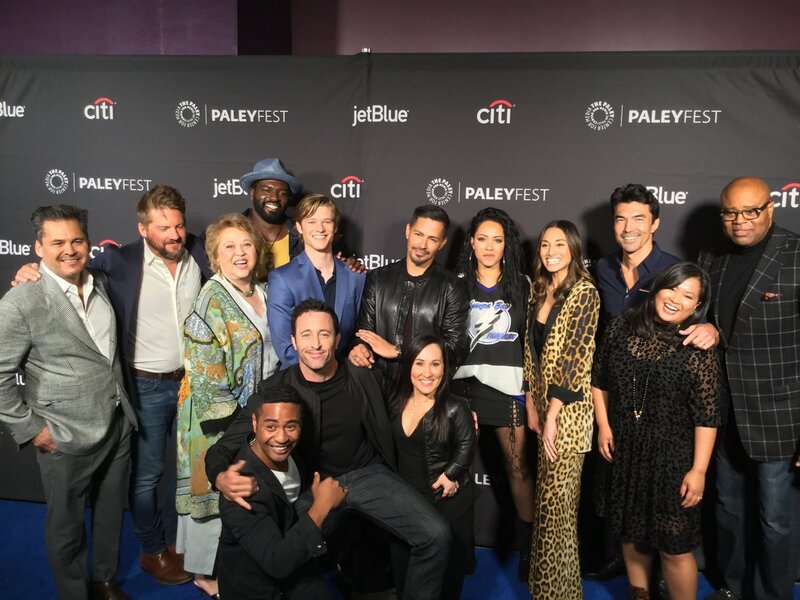 Lucas Till, Tristin Mays and Meredith Eaton attended the panel for the three CBS shows helmed by Peter Lenkov on March 23 at the Paley-Fest LA. The event was moderated by Kevin Frazier (Entertainment Tonight). Lucas Till doesn’t really use cue cards to remember all that scientific jargon. His mom is a chemist and sends him audio messages of the correct pronounciations instead. Peter Lenkov is still trying to put a crossover episode of all three shows together. The big difficulty is logistics. 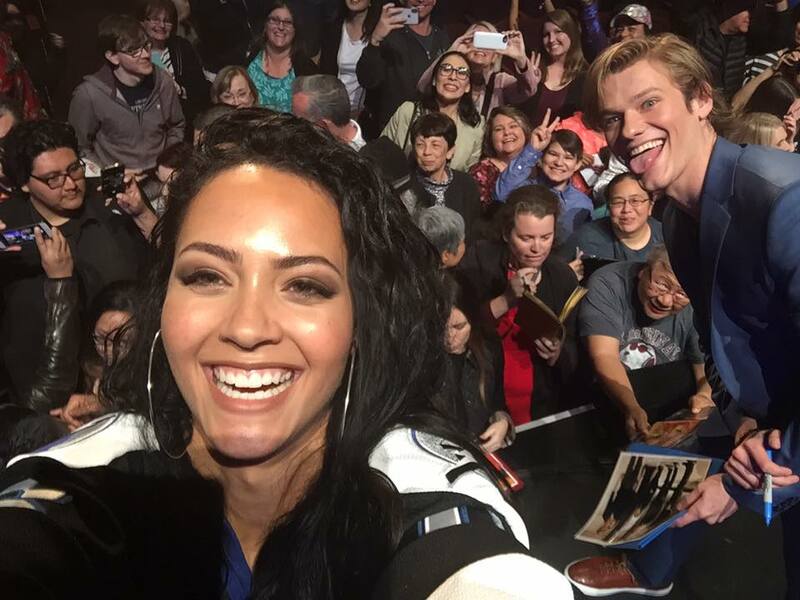 Tristin Mays called Lucas a “real-life-MacGyver” and being super-smart. By Monday, the blue carpet video interviews also started coming in. As Lucas Till revealed to Red Carpet Report, he sometimes sleeps in his character’s bed on stage when he’s tired. Also, he told ET Canada that his entire family watches the episodes and the relatives text him afterwards about it. Lucas Till did a radio interview with the Canadian Todd Shapiro Show. He talked about the grueling work schedule and revealed that “Robocop” Peter Weller (who also directed Episode 3×04) will have a guest-part in an upcoming episode. Michael Des Barres joined the “Forum Celebrity Podcast”; talking about music, film and TV and also about his roles as Murdoc and Helman in both the Original and rebooted MacGyver series. He’s looking forward to Episode 3×18; promoting it better than CBS so far. Enter your E-Mail-Address and hit "Follow" to receive an E-Mail when a new post has been published.